Cincinnati law firm Helmer, Martins, Rice & Popham, Co., L.P.A. is pleased to announce that it has elected attorneys Erin M. Campbell and James A. Tate as shareholders of the firm, effective January 1, 2017. The firm congratulates its newest members. Erin M. Campbell represents clients in federal False Claims Act cases and other tort and contract matters. She is committed to protecting the rights of whistleblowers, who often sacrifice much to protect our Treasury, our service people, and our sick and elderly. She has tried cases with her colleagues and has extensive appellate experience, including authorship of successful briefs to the United States Supreme Court and the Ohio Supreme Court. She has written for a variety of publications and has made several presentations on the False Claims Act. 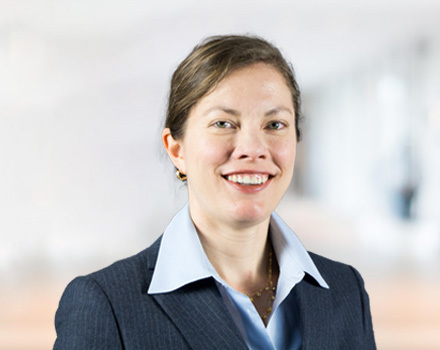 Her most recent publication, with James B. Helmer, Jr., is “Jury Instructions for False Claims Act Cases,” a set of model False Claims Act jury instructions, to be published in the upcoming Volume 84 of the University of Cincinnati Law Review. In 2010, Erin M. Campbell was selected as a Rising Star Superlawyer by Law & Politics magazine. See Erin M. Campbell’s profile for more information. James A. Tate represents clients in complex litigation with a particular focus in representing whistleblowers under the False Claims Act. He also represents clients in tort and contract matters. 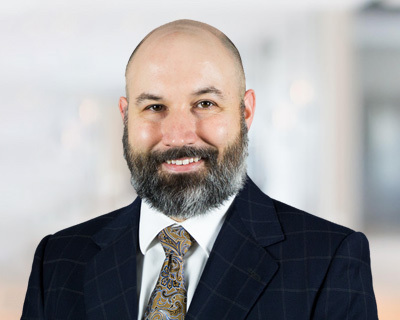 He has successfully litigated False Claims Act cases in district and appellate courts across the country, representing whistleblowers who have uncovered fraud schemes perpetrated by some of the largest corporations. He is a contributor to James B. Helmer, Jr.’s False Claims Act treatise and lectures on the Act. James is a graduate of the University of Cincinnati College of law, where he served as the Editor-in-Chief of the University of Cincinnati Law Review for 2008–2009 and founded the U.C. Law chapter of the ACLU. He is a barrister member of the Potter Stewart Inn of Court. See James A. Tate’s profile for more information. Helmer, Martins, Rice & Popham Co., L.P.A. has prosecuted False Claims Act cases on behalf of whistleblowers longer than any law firm in America. We are frequently consulted by attorneys throughout the country regarding False Claims Act cases, and sometimes join with them to help present their clients’ cases. Since 1984, we have lectured, authored treatises, written articles, and litigated for the rights of whistleblowers who come forward to protect the public treasury. Our book, False Claims Act: Whistleblower Litigation, is the first book written specifically to help whistleblowers and their attorneys successfully navigate the many procedural hurdles of the False Claims Act. Our lawyers are repeatedly recognized by organizations such as Best Lawyers in America, the National Law Journal, Super Lawyers, US News and World Report, and Taxpayers Against Fraud. On four occasions we have been requested by the United States Senate and House of Representatives to present testimony about how to strengthen and modernize the False Claims Act. Our suggestions have led to numerous changes in the law eventually signed by both President Ronald Reagan and President Barack Obama. For more information, or to discuss a potential case with us, please contact us.